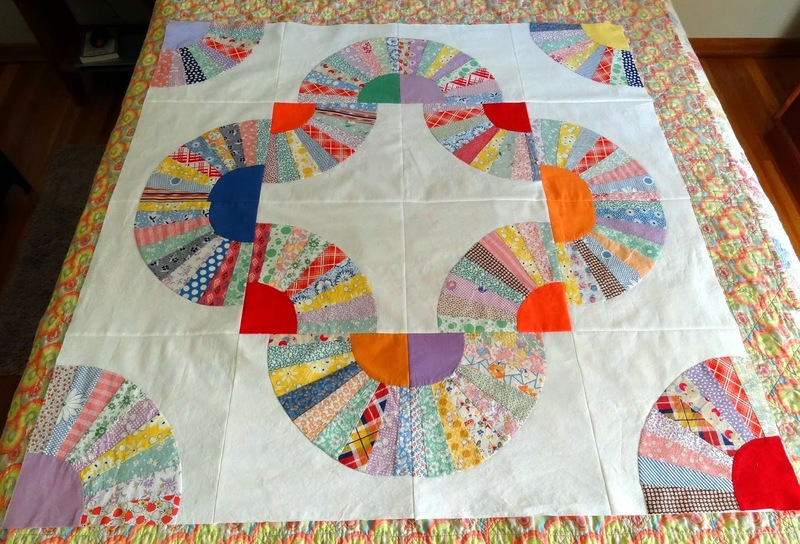 Squash House Quilts: Vintage Block Returns as New Quilt! I love seeing you on Instagram and thanks to you I'm hooked on it too. It's such fun and I can also post to Facebook at the same time, which makes it even better. Love your vintage quilt - I'd use a solid I think for the binding. 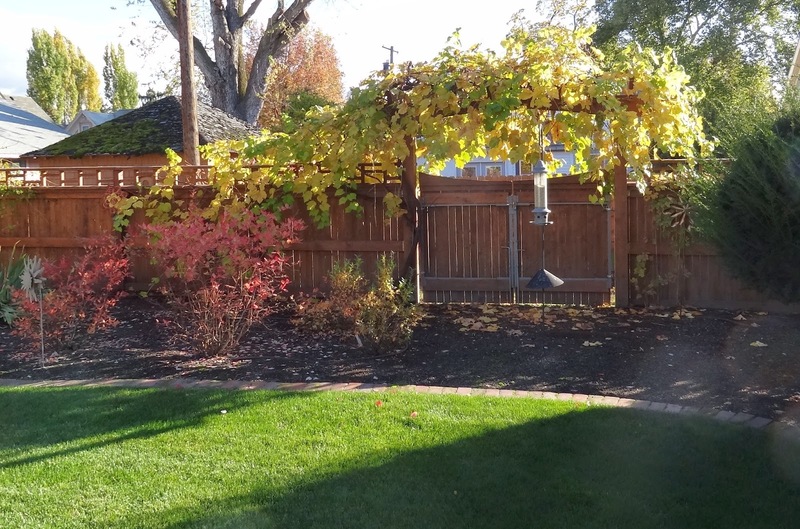 Your yard is just as beautiful in the fall as in the summer. Hugs!! The revival of the blocks looks wonderful in that setting. I LOVE your fall colors in the yard. Those maples are so pretty. We don't have a lot of color change in our area so I always appreciate it when I see it. A successful rescue!! I so love this time of year and you yard is like a Fall palate! Your vintage blocks quilt is absolutely stunning!!!! I love it! And I love that you are on Instagram! Your Vintage blocks quilt is beautiful ! So nice to see you used these blocks to preserve them. I feel really stupid asking this but is Instagram a phone thing? Call me old fashioned but I only use my cell phone for emergencies. Thankfully, we haven't had any emergencies lately and I can't remember the last time I used it. Love, love , love your Grandmother's Fan quilt. There is a 1930's feedsack backing fabric available. I've used it on two of my feedsack fabric quilts. I have to agree with Stephanie...polka dots would look awesome as a binding fabric, especially red with whit e dots! What a treasure you are having the opportunity to put together! Love seeing all those vintage fabrics and all the fabrics definitely play well together! I love the idea of a polka dot binding but I'd go scrappy. The fabrics in this quilt are so fun. You did a great job putting it together! Love that quilt. It is neat seeing all the fabrics. Your yard is just lovely. Our yard is full of leaves again! We really neat to get them off our grass. I am still on the fence about instagram. Fall looks lovely there IT's starting to get chilly here, just enough for a sweater but it's a nice change. I know what you mean about instagram. So easy. I still love blogs and the longer story but it's getting harder to spend time there. Glad to follow along more regularly! Beautiful work Candace, well done for ironing out the worst of the issues. Beautiful tree colours. I too am wondering about continuing in Blogland. I haven't made the leap into Instagram though. I am such a luddite! Maybe the odd photo here and there is more sensible for me while I have such little time? What a beautiful quilt project. I love this pattern, and you have done a great job bringing it back to life. And Instagram? Okay, I think everyone but me has converted. I've got to figure that out! The colors in your yard were magnificent.